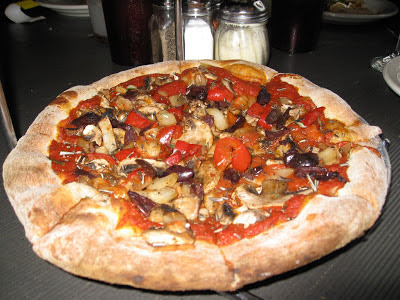 La Fiamma is a popular pizza place in Bellingham and they can make any number of pizzas vegan upon request. Pictured above is a vegan version of the "Veggie Fiona," which I really enjoyed. The red peppers were sweet and delicious, and melted in my mouth. I am happy to add La Fiamma to my list of vegan-friendly places in Bellingham.